Elsa Seguinot, volunteer president of the non-profit Rockland County Police Hispanic Society works with its board, staff and community leaders to further the group’s mission. She is committed to the organization and understands the scope of energy and time required to effectively do the job. 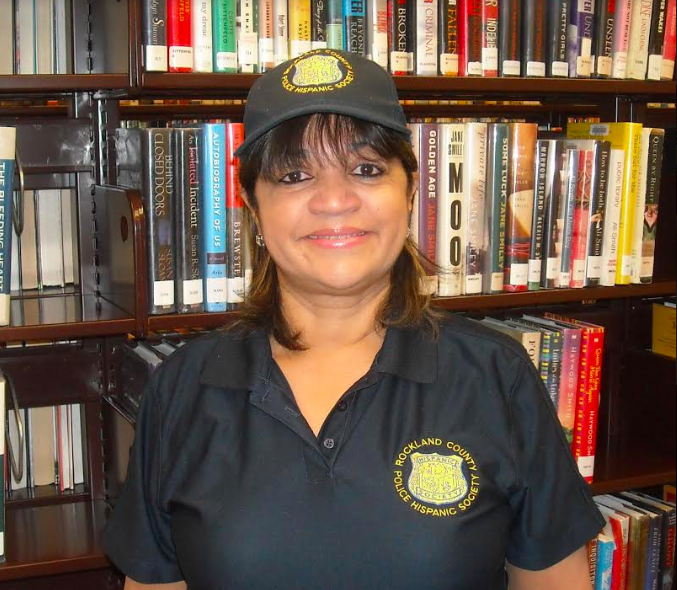 Our Unsung Hero this week is Elsa Seguinot, retired NYPD Police Sergeant and the first female President of the non-profit Rockland County Police Hispanic Society (RCPHS). Hurricane Maria made landfall on Puerto Rico on September 20, 2017 and wreaked havoc, causing widespread destruction and disorganization. The center of the massive Category 5 hurricane made a direct hit on the island, whipping it with powerful wind and rain for longer than 30 hours. Elsa Seguinot indicated that she had a lot of family in Puerto Rico, and after the storm abated most of the island’s residents lacked access to electricity and clean water. Under her leadership, FEMA was contacted and fliers were sent out to the Haverstraw community about the devastated state of the island. Consequently, items such as portable water, batteries, flashlights and pallets of food were sent to Puerto Rico. During Hispanic Heritage Month, Elsa Seguinot received Hispanic Heritage Awards from the Rockland County Legislature, Haverstraw, Clarkstown, and the Lions Club. Hispanic Heritage Month is an official U.S. observance; it is a time to learn about and recognize the histories, cultures, and contributions of American citizens whose ancestors came from Spain, Mexico, the Caribbean and South American countries with a Spanish origin. Unlike other observance months, Hispanic Heritage Month doesn’t align with a month on the calendar as it is observed from September 15th to October 15th. The start date was carefully chosen for its cultural relevance. Lyndon Johnson was the first President to make an official government declaration 49 years ago when he initiated Hispanic Heritage Week, which was then expanded to Hispanic Heritage Month by President Ronald Reagan. Hispanic Heritage Month is celebrated in many ways, from parades to concerts to food fairs. As chief volunteer, the president of a non-profit organization works with the board, staff, and community to further the group’s mission. The president influences how the board uses its time, the selection of board members and its future leader. Strategic planning and fund raising are vital to the success of any non-profit entity as well. By taking on this role, Elsa Seguinot is committed to the organization and understands the amount of energy and time required to effectively do the job. As the board ambassador, she acts as a spokesperson to the larger community. Seguinot also helps to organize social functions, such as the ‘Salsa into the Sun’ dance, to raise funds and maintain visibility in the community.